"Sir Paul, recalling that it was Fergie who fixed him up with his ex-wife. Wondering if he can still stop payment on the check." 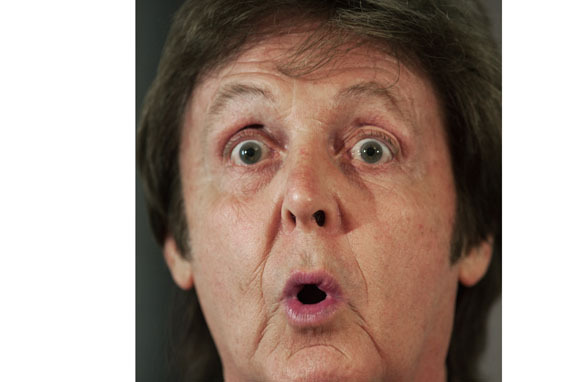 "Sir Paul McCartney reacts to the news that Tipper Gore is a free agent." 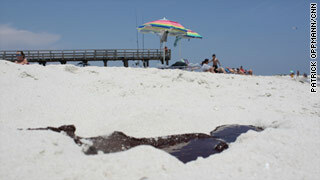 The Gulf oil spill is closing in on the Florida panhandle tonight. Tar balls and weathered oil could hit the area "in a day or two", said Florida Gov. Charlie Christ. The leading edge of the spill is about 10 miles off Pensacola right now. Oil has already reached some of Louisiana, Mississippi and Alabama's barrier islands. Meanwhile, BP was able to free a diamond-tipped saw that got stuck during the latest attempt to stop the oil leak. The cutter stopped roughly midway through the underwater effort to cut the riser pipe. Currently they've abandoned that cutting device. We'll tell you what's next in their plan tonight on the program. Today BP CEO Tony Hayward admitted his company wasn't prepared for the oil leak. "What is undoubtedly true is that we did not have the tools you would want in your toolkit," Hayward told the UK's Financial Times. He also told the newspaper the containment effort on the surface has been "very successful" in keeping oil away from the coast. We're keeping him honest. That's not exactly what Anderson saw in the marshes off the coast of Louisiana today. You'll see his report. There's also the feedback from Hayward on why some workers may be getting sick. "I'm sure they were genuinely ill, but whether it was anything to do with dispersants, or whether it was food poisoning, or some other reason for them being ill, you know there's a... food poisoning's a big consideration when you've got this number of people in temporary camps, temporary accommodation. It's something we have to be very very mindful of," Hayward said at a news conference on Sunday. Food poisoning? That's not what Dr. Sanjay Gupta discovered. Join us for these stories and much more starting at 10pm E.T. 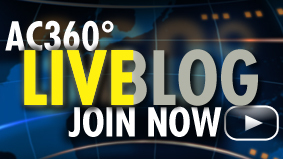 Tonight on 360°, Anderson is reporting live from the Gulf. 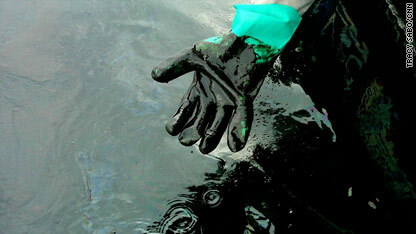 The oil spill is now just 10 miles off the coast of Florida and the effort to stop the leak hit a new problem today. He'll have the latest and tonight's other headlines. Our conversation quickly turned serious, though. After spending days deliberating, Acy finally decided to speak out. Up until now, no fisherman working for BP has sat down for an interview with CNN. Acy says he wants to tell people about what is happening 50 miles out at sea, where oil has turned the water black. He wants to tell the stories of his workers, several hundred of them, who were fisherman, but now, temporarily work for BP. He wanted me to know that people are getting sick, and very little is being done to protect them. BP was able to free a snared cutter Wednesday that had stalled an attempt to cap the undersea gusher responsible for the massive oil spill in the Gulf of Mexico. 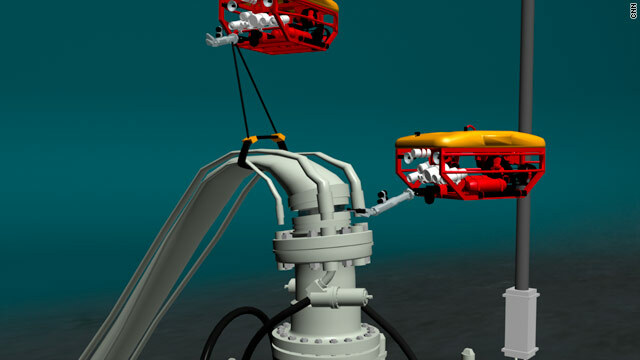 A live undersea video feed showed the high-tech diamond-tipped cutter no longer stuck in a damaged riser pipe. It was unclear when BP would resume slicing off the pipe and position a containment dome on oil from gushing out the ruptured well. BP's latest attempt to control the spill came as the Florida Panhandle braced for oil slinking onto white sand beaches and as the federal government closed off more of the Gulf for fishing. Mats of weathered oil and tar balls from the Gulf of Mexico oil disaster could hit the western Florida Panhandle "in a day or two," Florida Gov. Charlie Crist said Wednesday. Sheen from the leading edge of the spill was spotted just short of 10 miles from Florida shores Tuesday night, and "thousands of tar balls" were in the water with it, Crist told reporters Wednesday morning. Out: Harvard Law School graduates who are scary smart - having served as editor of the Harvard Law Review - but come across as unemotional, aloof and uninterested in the demands of leadership even during a national catastrophe. In: Rhodes scholars who are scary smart - having been admitted to and turned down both Harvard Medical School and Yale Law School - but also known to show flashes of rage at federal bureaucratic ineptitude during a national catastrophe. 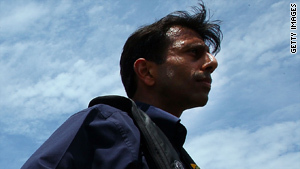 For the last few years, Republicans have wondered if Bobby Jindal was their answer to Barack Obama. After the oil spill in the Gulf of Mexico, it's awfully clear that Democrats should start trying to come up with an answer to Jindal. Filed under: Gulf Oil Spill • Opinion • Ruben Navarrette Jr.
Obama's emphasis on energy issues is expected to be part of a broader focus in the president's speech on the state of the economy. President Barack Obama will use the oil spill crisis in the Gulf of Mexico to advance his alternative energy agenda Wednesday, according to excerpts of a speech the president is set to deliver at Pittsburgh's Carnegie Mellon University. "The catastrophe unfolding in the Gulf right now may prove to be a result of human error - or corporations taking dangerous short-cuts that compromised safety," Obama says in the excerpts. "But we have to acknowledge that there are inherent risks to drilling four miles beneath the surface of the Earth - risks that are bound to increase the harder oil extraction becomes. Just like we have to acknowledge that an America run solely on fossil fuels should not be the vision we have for our children and grandchildren." 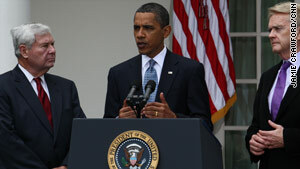 Obama's emphasis on energy issues is expected to be part of a broader focus in the president's speech on the state of the economy. Administration officials pledged to focus strongly on job creation earlier in the year but have since been forced to grapple with a host of unexpected challenges, including the oil spill. 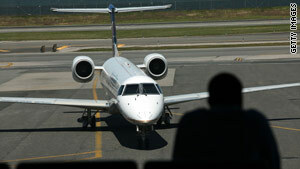 Weary airline passengers may see some travel improvements if a new wave of passenger protections is adopted. U.S. Transportation Secretary Ray LaHood announced a proposal Wednesday that would require more accountability from air carriers - from increased compensation for bumped passengers to full disclosure of baggage fees and transparent price advertising. "Our proposed rule would drastically improve the consumer information airlines are required to post so that the consumers know what they are getting for their money," LaHood said at a news conference.